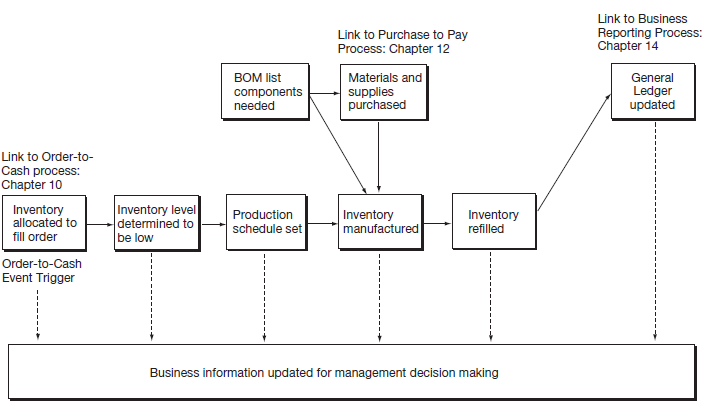 Figure 14.1 depicts the basic steps in manufacturing and shows how orders for products deplete inventory, which must be replenished when the amount stocked by the company drops too low. The Integrated Production Process also receives needed materials and supplies acquired through the PtoP process and communicates with the general ledger to record that inventory has been produced. Our primary purposes in this section are (1) to become familiar with the principal components of a modern IPP and the interactions that can exist among those components and (2) to understand basic definitions of manufacturing terms. Once again, we can only survey the field. There are many acronyms, but try to concentrate on forming a general understanding of what the pieces of the puzzle are and how they fit together.